The NARS Loaded Eyeshadow Palette ($59.00) is a very warm palette and it's very brown -- almost boring you can say, but that's the reason I bought it. Nars describes it as neutral, and ok, I accept that, but it's also quite warm. I wanted something fresh and new for more natural looks for my 9-5. A couple of things to note is that I have dark skin and many of the colors just blend, effortlessly I might add, right on into my skin tone. 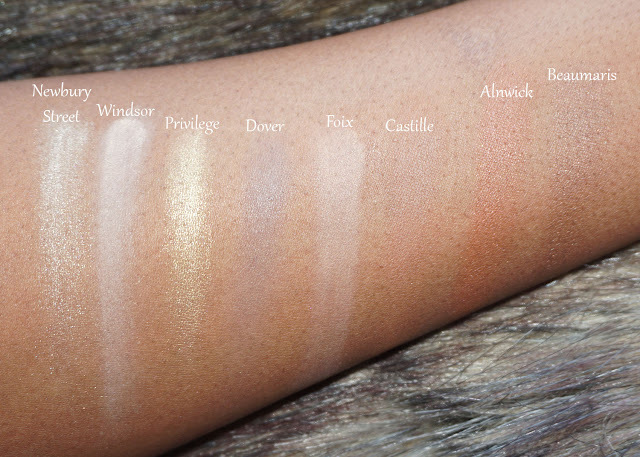 If you are of lighter complexion you will have brighter color payoff than I do, as these are really very pigmented. I have oily eyelids, probably more oily than my face if that's even possible. I used this palette with and without primer to see how it holds up. These days, I have been using one brush to create my eye looks; a crease brush. I find it just makes the colors blend easier and across my lid faster and more seamless. I also feel like I have more control over the colors, as far as building them up and keeping the palette clean. The only exception is when I use liner for my waterline, I will take a regular shadow brush and go over it with powder to smoke the area out. I find that the fall-out issue occurs when using a dense shadow brush as opposed to a more fluffy crease brush. I have been using is palette nearly every day since I purchased it when it first came out at the end of March. As far as how nice (quality-wise) the powder are, these are more powdery than other high quality palettes I have, although I haven't experienced the fall-out issue others have pointed out with this palette. On my oily lids, the powder creases noticeably by the afternoon without primer. The color lasts much longer on my with primer. In it's own way, while the palette doesn't appear to be all that diverse, you can create versatile looks with it. 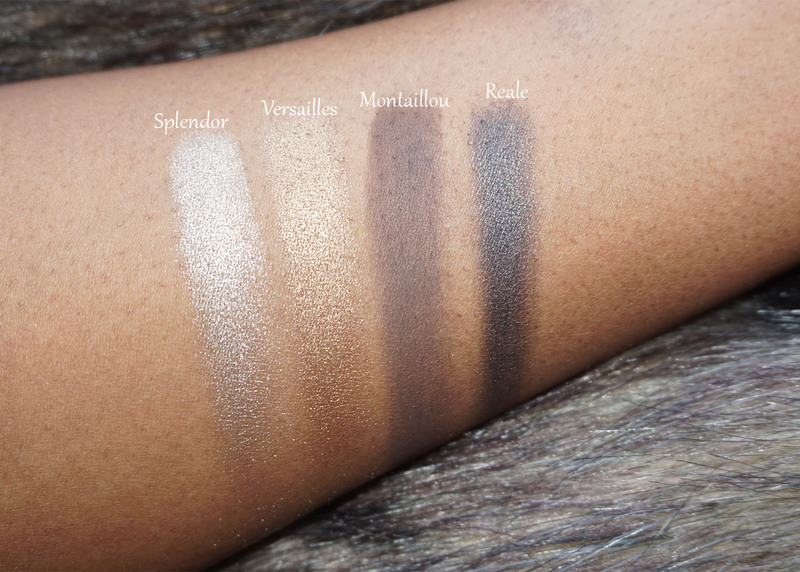 While each color is some form of brown, they all look different on my skin. On a scale of 1-10, this palette is a 9!